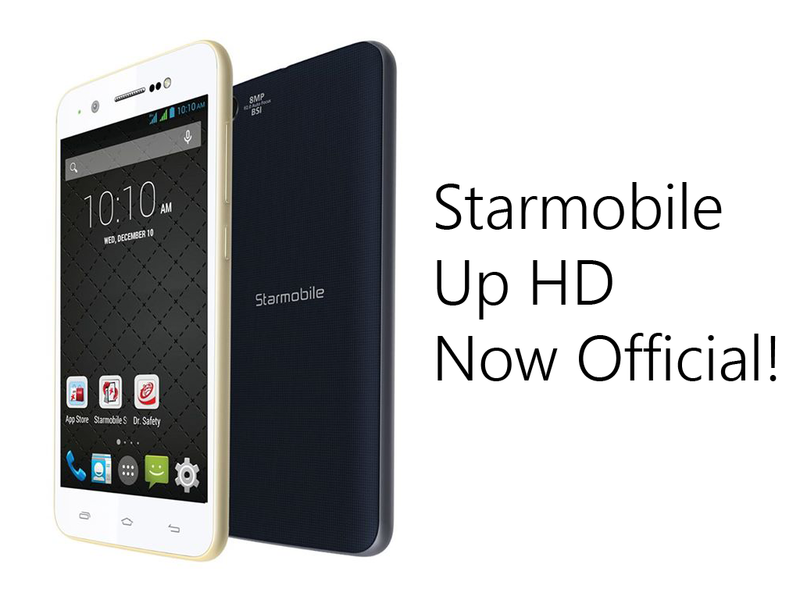 Starmobile posted today on their official Facebook page the newest variant of their Starmobile UP series - introducing Starmobile Up HD. This beautiful looking smartphone sports a 4.7-inch HD IPS display and an upgraded 8MP camera with f2.0 aperture and 5-stack les with Blue Glass filter that produces more accurate colors. It also features a 5MP front camera, perfect for selfie enthusiasts. Other features include MediaTek quad-core processor paired with 1GB of RAM, 8GB expandable memory, Dual SIM, 3G connectivity and 1800mAh battery. It runs Android 4.4 KitKat operating system. The Starmobile UP HD will retail for only Php 4,990 and is available at your nearest Starmobile kiosks and concept stores nationwide. The handset comes with FREE Instacase, FlipCover and 2 screen protectors.